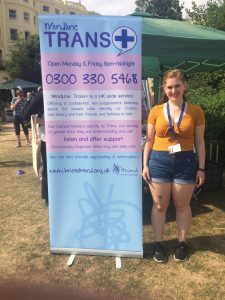 MindLine Trans+ attended Brighton Trans Pride on Saturday 21st July. 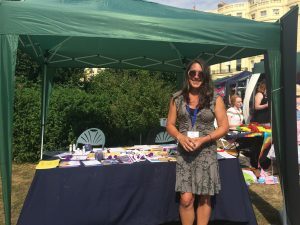 The event was a huge success with numerous people coming over to our stand to talk about the MindLine Trans+ service and raise awareness. 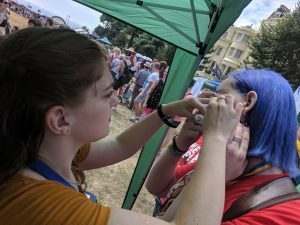 We were also making people sparkle with our heart, star and unicorn glitter tattoos. 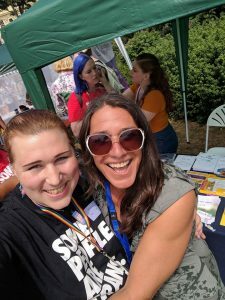 Below are a selection of pictures from the day including Bristol Mind Intern Sophie Tamlyn providing a glitter heart tattoo and MindLine Trans+ volunteer Pip Collins greeting an event goer.